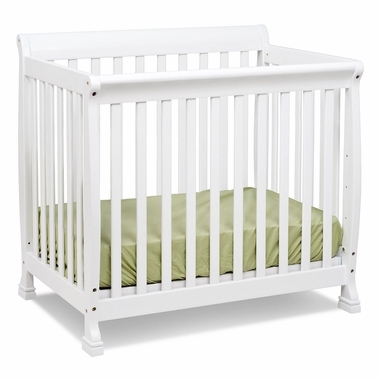 If you want your baby to have the most charming nursery on the block then get the DaVinci Kalani Mini Crib in White. This beautiful mini baby bed offers the same quality craftsmanship and safety features as a standard size crib, but will free up space in the nursery for other furnishings or play space. 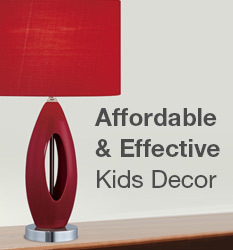 It's also just as comfy for baby. Made of solid pine for extra sturdiness, this durable crib comes with static rails to keep baby safe from falls; adjustable mattress support you can lower as baby grows and non-toxic finish for added safety. It's also convertible, which means that you can convert it to a twin size bed when the time is right. (conversion rails sold separately) DaVinci's combined all the features that parents want and babies need in this precious crib, making it an ideal choice for any nursery.